Sometime last year, in my quest for traditional Mangalorean recipes I came across this extremely simple recipe. ‘Saar’ as it is called in the local languages of Mangalore is nothing but a watery, thin gravy made from onions or tomatoes or lentils. It is pretty much like a clear soup where water forms much of the base and very little flavouring is added to it. 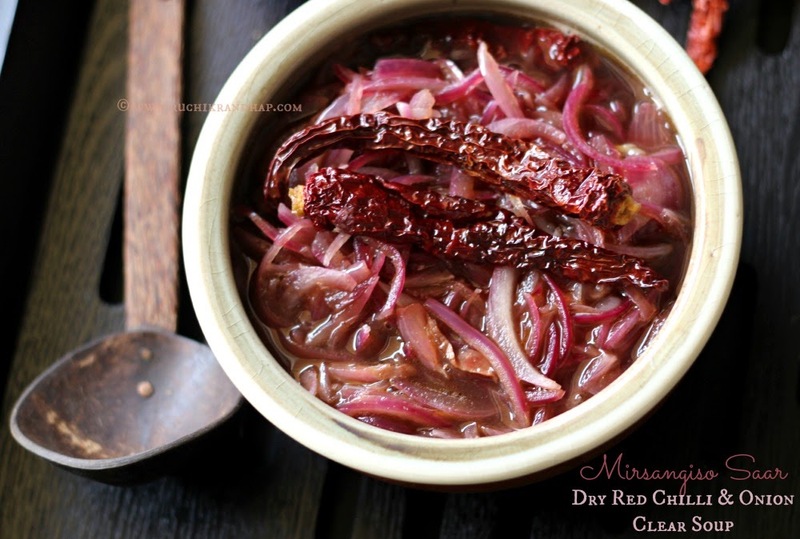 Saar is a traditional accompaniment to rice in Mangalorean meals. 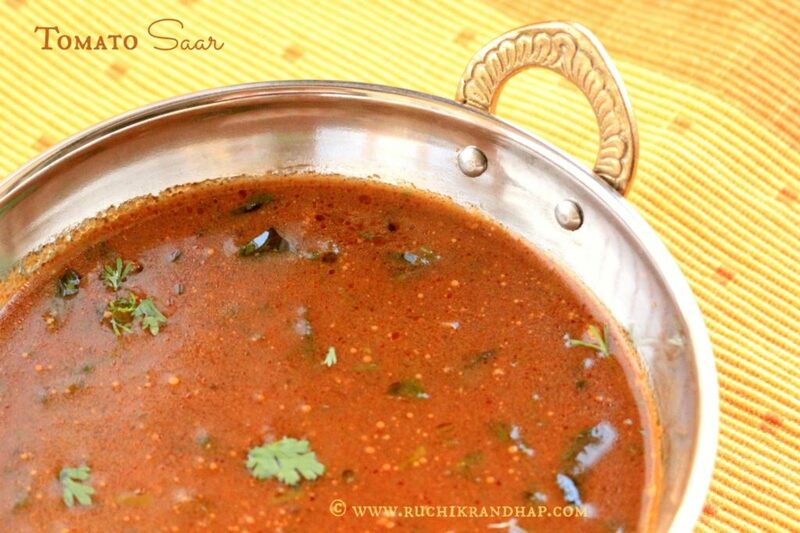 The most popular ones are the different types of lentil saar which have more water than lentils in them unlike their North Indian counterparts which are a blend of one of more lentils, used in generous proportions and cooked till mushy and blended/churned to a thick soup like consistency. 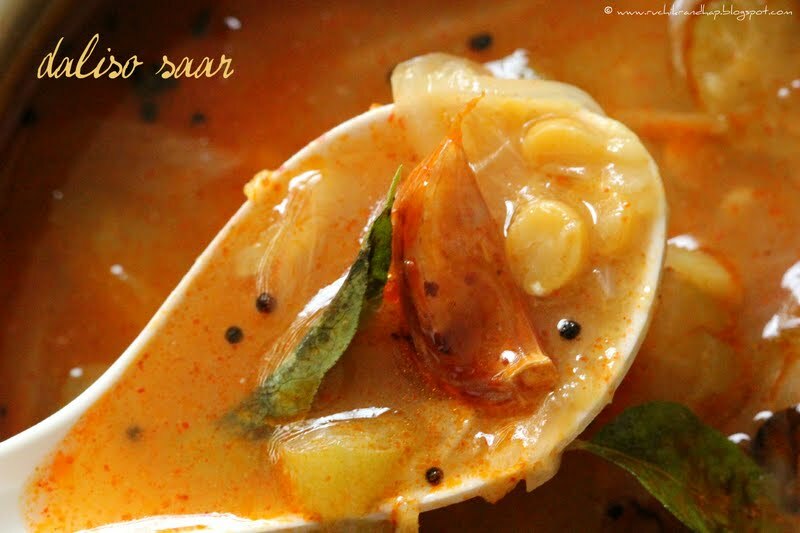 ‘Sheeth Ani Saar’ are usually the primary ingredients on the meal menu of any Mangalorean household. A side dish of vegetable or seafood and some papad or pickle would pretty much be consumed on a daily basis. This is something most families eat even now irrespective of their caste, creed and social standing. If you see, it is an affordable meal – rice, saar and some seafood (for non vegetarians) or a couple of vegetables on the side (for vegetarians). I decided to post this during Lent as most of my readers are looking for something utterly simple in terms of preparation and taste. After you’ve eaten your fill along with rice you can drink up the remaining saar as it is very tasty, especially when piping hot – pretty much like the rasam. Truly food for the soul! 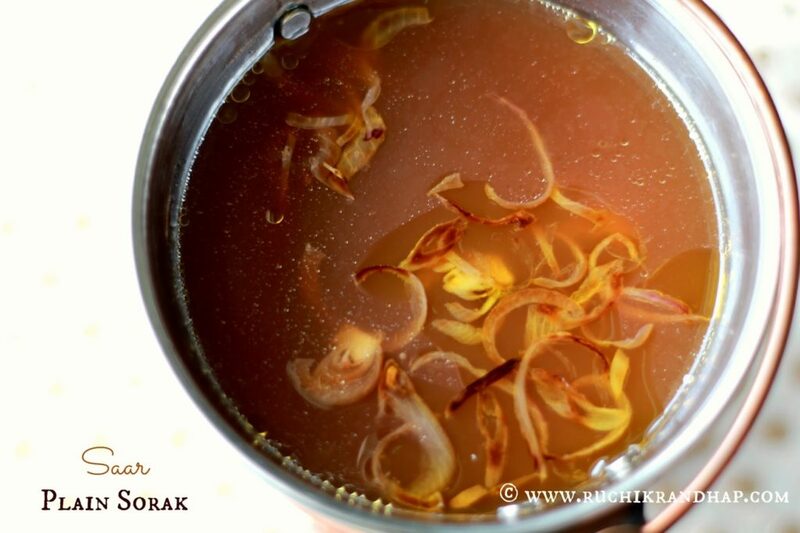 If you liked this recipe do check out the other saar recipes on my blog. Links are given at the bottom of this post! 1. Grind all the ingredients mentioned under ‘To be ground’ very coarsely. Please note – what we want here is for all the ingredients to just release their respective flavours and not thickness that comes from completely grinding them together. So just pulse the grinder for 2-3 seconds till the ingredients are just very coarse and remove it into a bowl. Rinse the grinding jar with 1 cup of water. 2. Transfer the coarsely ground masala and its water and another 1/2 cup of water to a pan and bring the mixture to a boil. Reduce the heat to a medium and let it simmer for another 3-4 minutes. Remove from heat. 3. In a smaller pan heat the ghee or oil for tempering. When hot add the finely sliced onion and fry until golden. Pour this seasoning into the prepared saar. 4. Serve hot with plain rice. Like this post? 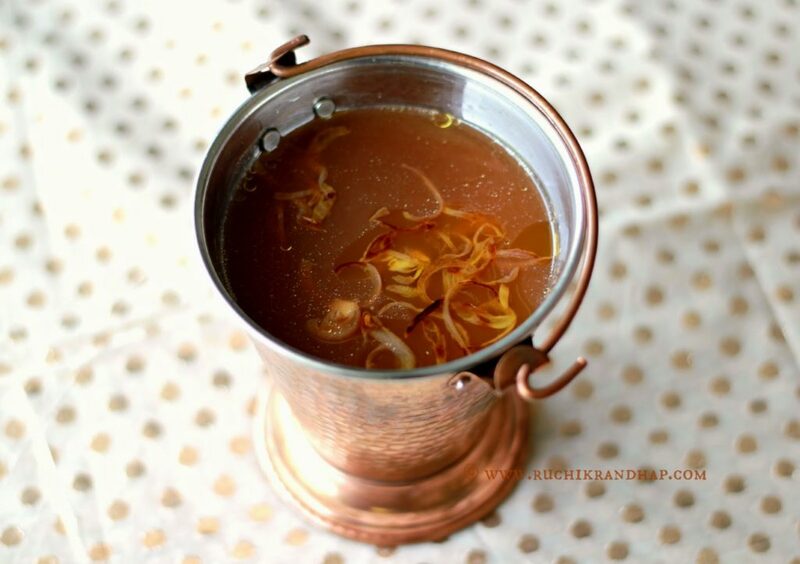 Do try out my other ‘Watery Saar’ recipes! Please post a recipe for Bindi solan so saar.